A man plays golf on March 27, 2012 in Biarritz on the Basque coast. All else equal, fewer workers means less economic growth. One way to measure this is a figure known as the “dependency ratio,” or the number of people outside of working age (under 18 or over 64) per 100 adults between age 18 and 64.2 The higher the ratio, the worse the news: If more of the population is young or old that leaves fewer working-age people to support them and contribute to the economy. Full-year estimates are based on Current Population Survey microdata. This is the Census Bureau’s definition. Other agencies use different age cutoffs. The World Bank, for example, defines “working age” more broadly, as those between 16 and 65. 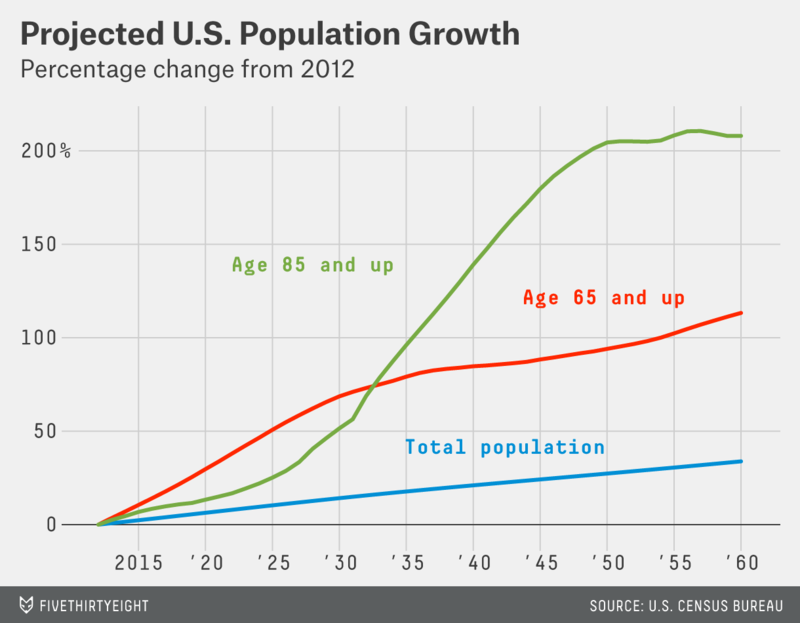 The employment-to-population ratio for Americans 65 and up was 17.7 percent in 2013. 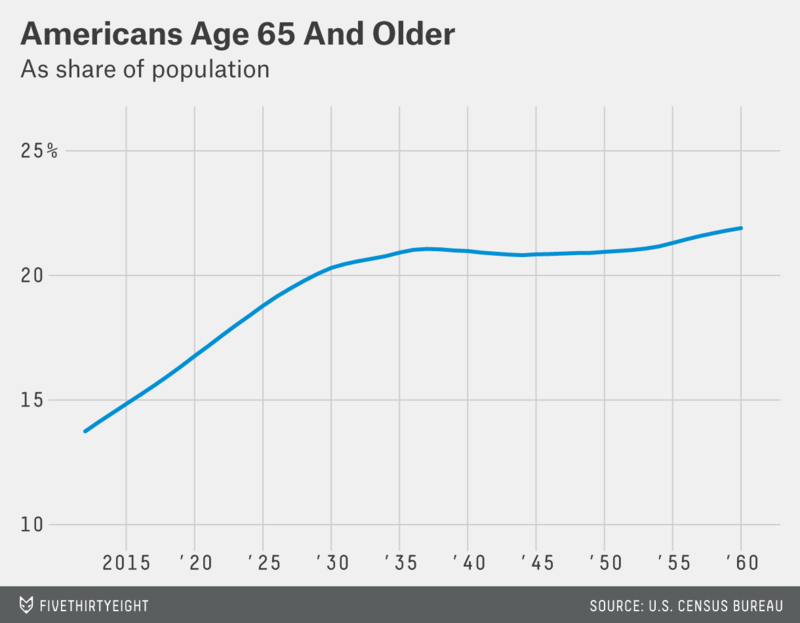 For those 85 and up, it was 3.5 percent, according to Current Population Survey data. 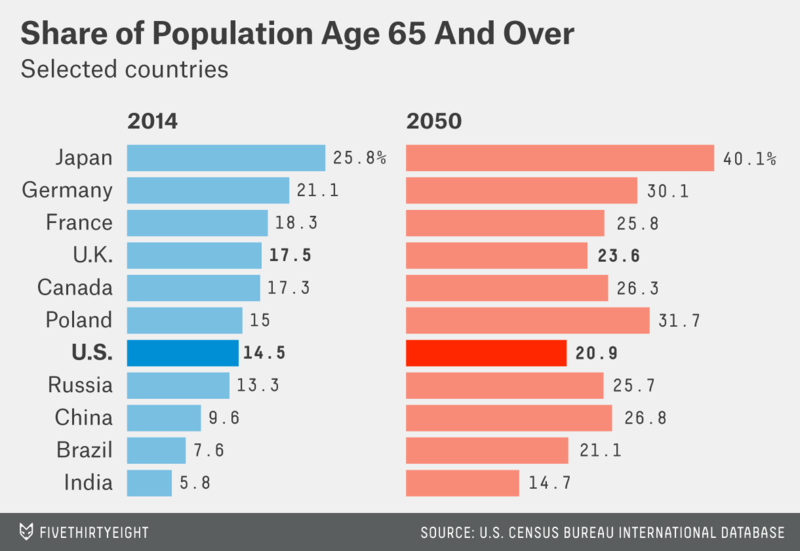 The rising over-85 population is partly the result of the sheer size of the baby boom generation, but it is also the result of increased life expectancy.